The exhibition includes 48 outstanding art works, led with a picture of the winner of “An Angel At My Table” by Miriam Escofet. The BP Portrait Award is one of the most prestigious art competitions in the world. In 2018, participants from 88 countries presented their inspiring art works. The portrait of the authorship of the British artist of Spanish origin Miriam Escofet in June 2018 became the winner of this exciting art competition. Now, this gentle art work is placed in the center of the exhibition in the Scottish National Portrait Gallery, where the finalists and prize winners are presented. The winner was chosen among 2667 incredible portraits from 88 countries. 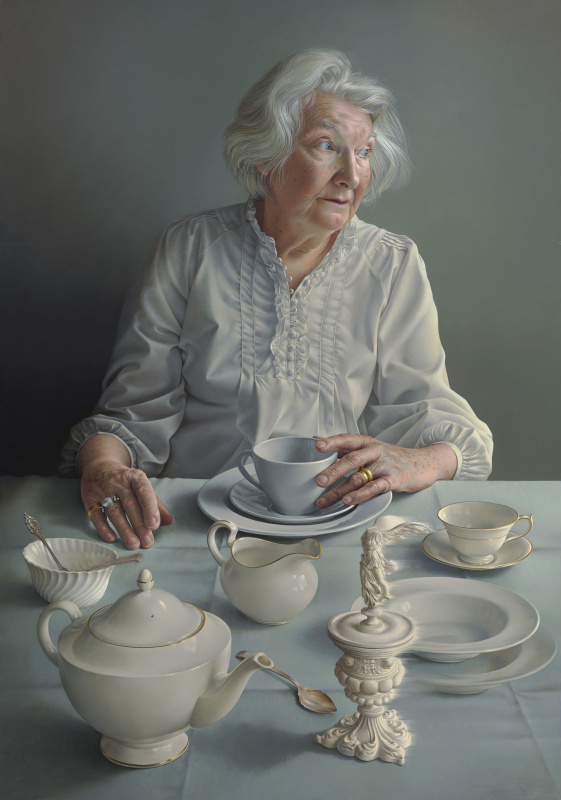 “An Angel At My Table” is an image of Miriam Escofet’s mother sitting at a table with a tea set. The artist says that she wanted to convey the idea of a universal Mother, who is at the center of our spiritual and emotional world. The BP Portrait Award is one of the most important platforms for both beginners and famous portraitists. The first prize of £35,000 makes this art competition one of the largest in the world. The second prize of £12,000 in 2018 went to the American artist Felicia Forte for the painting “Time Traveler (Matthew Napping),” which depicts her young man sleeping in bed. Judges were particularly impressed by the bold use of color, as well as the distinct intimate and personal atmosphere of the canvas. Third prize of £10,000 was awarded to the Chinese artist Zhu Tongyao for “Simone” – a portrait of the boy who lived next to the artist in Florence. The jury highly appreciated the combination of Renaissance portrait painting traditions with the modern look of the model, which convincingly conveys the image of a young man on the threshold of adulthood. 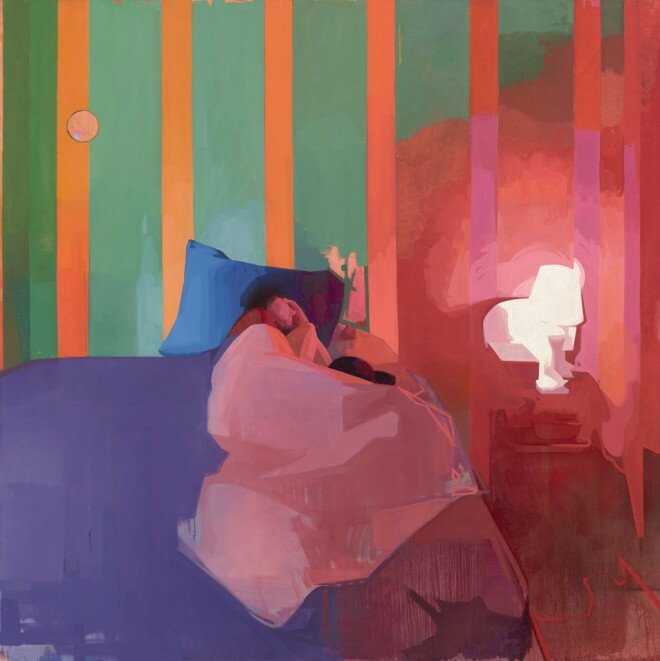 The winner of the nomination “Young Artist Award” (for participants from 18 to 30 years with the prize of £9,000) was 28-year-old Ania Hobson from Suffolk. “A Portrait of two Female Painters” is an image of Hobson and her brother’s wife. The judges liked the combination of colors in this work and honesty, conveyed in a fascinating atmosphere of mystery in the relationship between two young women. 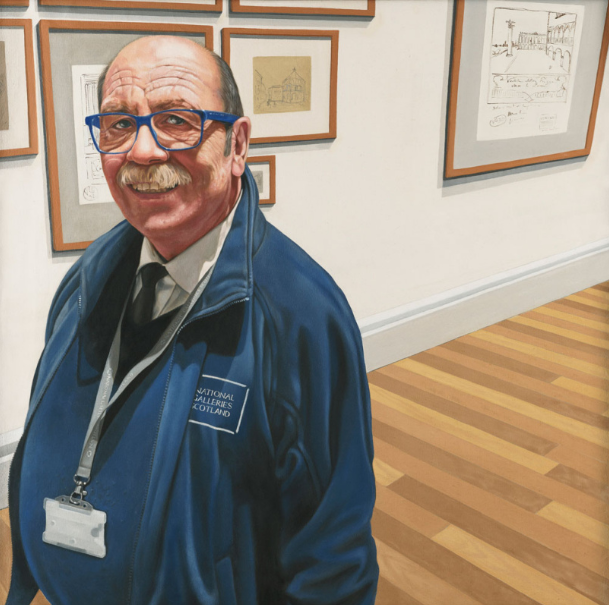 The Scottish National Portrait Gallery pays particular attention to the portrait titled “LTR Team A,” which is shown at the BP Portrait Award 2018. Its author is an employee of the institution Laura Nardo, and the model – an employee of the department of security and visitor services of the museum Vittorio Milazzo. They became friends on the basis of Italian origin: Nardo was born in Turin and lives in Scotland since 2013, while Milazzo is a second generation Italian – his family comes from Sicily. In 2018, the award of the National Portrait Gallery in London was awarded 39 times. It aims to encourage artists over the age of 18 to develop their portrait painting skills. Since 1989, the transnational oil and gas company “British Petroleum” (now – “BP”) sponsors the contest. 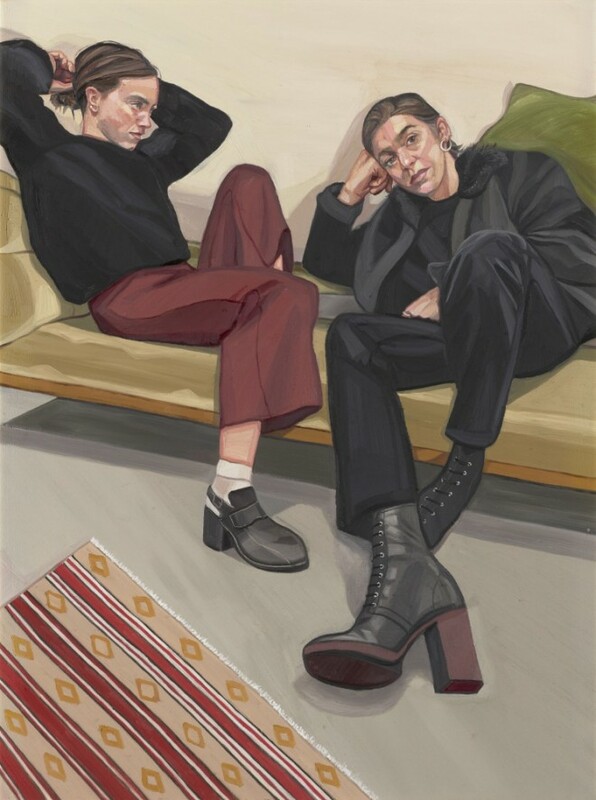 The exhibition of winners and laureates of the BP Portrait Award 2018 at the Scottish National Portrait Gallery will last until March 10.